Consider nutrtion of the banana. 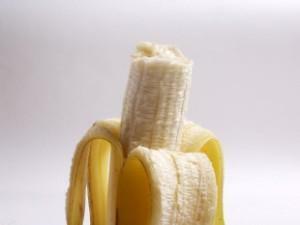 If you are a carbohydrate counting fruit lover, you wonder how many carbs in a banana. Find out how many calories and carbohydrates are hiding under the sunny peel to see if you can incorporate it into your diet plan. If those numbers are upsetting, consider the other nutritional content that encompasses a banana. They are packed with potassium, which is essential to health and balancing the body's sodium levels.They contain protein, which are the building blocks for muscle. One banana also contains nearly four grams of fiber, which helps regulate the bowels and improve digestion. In addition, bananas provide a multitude of vitamins and minerals. Before you begrudge the banana because of its high content of carbohydrates, remember all the benefits they offer. Instead of asking how many carbs in a banana, ask yourself how much nutrition they offer in a single fruit. What Are the Best Fruits to Eat While Dieting?